The cross-disciplinary innovations of the ROLE project will deliver and test prototypes of high responsive TEL environments, offering breakthrough levels of effectiveness, flexibility, user-control and mass-individualisation. 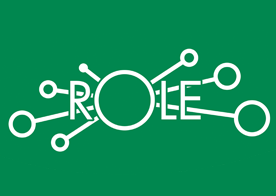 The work of ROLE will advances the state-of-the-art in human resource management; self-regulated and social learning; psycho-pedagogical theories of adaptive education and educational psychology; service composition and orchestration; and the use of ICT in lifelong learning. ROLE offers adaptivity and personalization in terms of content and navigation and the entire learning environment and its functionalities. This approach permits individualization of the components, tools, and functionalities of a learning environment, and their adjustment or replacement by existing web-based software tools. Learning environment elements can be combined to generate (to mashup) new components and functionalities, which can be adapted by lone learners or collaborating learners to meet their own needs and to enhance the effectiveness of their learning. This empowers each user to generate new tools and functions according to their needs, and can help them to establish a livelier and personally more meaningful learning context and learning experience.